When a neighbour made this for the kids a few Christmases ago, it reminded me of something I may have enjoyed as a child. At the time, I didn’t know the name of the dessert. I only knew an ingredient was jelly. Chances are I did enjoy this at some stage as a child. It was very popular in Australia in the 1970s, the decade when I arrived into the world. 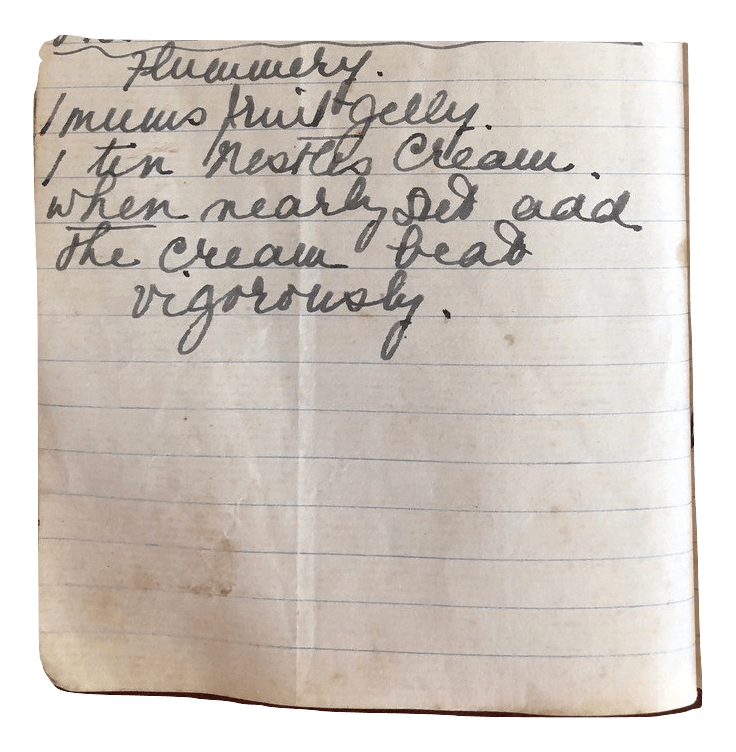 So, when I spotted this recipe for Flummery– which included jelly as an ingredient – in Nana Ling’s cookbook I had a feeling it might be this mystery dessert. And my hunch was right. Flummery has a long history, though its current form is a lot sweeter than the sour porridge-like dish it started out as in 17th century Britain. 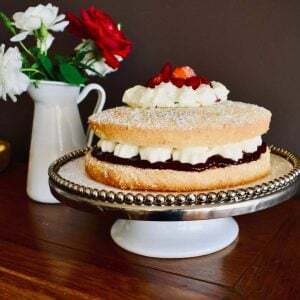 The jelly version is a product of World War II thriftiness, as people searched for creamy desserts that were also affordable. While it’s not big on expense, it doesn’t lack any flavour. It’s a super easy, 2-ingredient dessert. If you want to read more about it, there’s an interesting article on the SBS website. Here, I’ve served it layered with jelly. You could also add some cream, custard, fruit or ice-cream. I also added flummery to my Mini Christmas Trifles recipe. Make up jelly according to the instructions and put into fridge. When nearly set (but still able to be poured), add the cream and beat on high speed for 5 minutes. Pour mixture into a bowl to set. Serve with cream and fruit, or just eat it straight from the bowl.